Motorists are being urged to take "extreme caution" over the Crown Range road this morning. 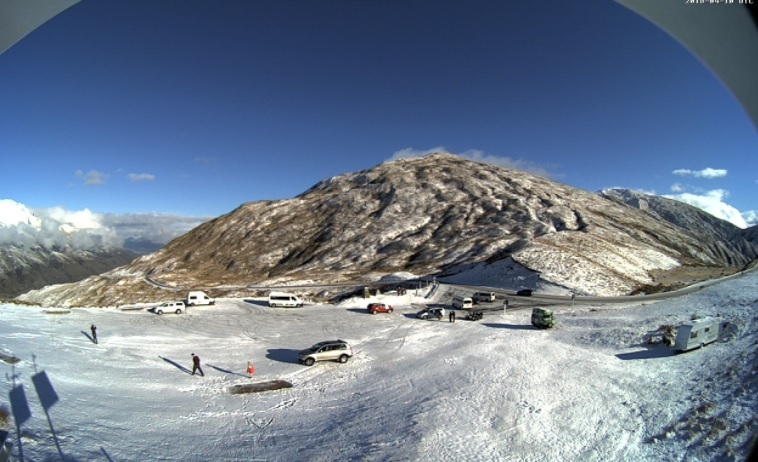 The temperature on the alpine pass, which connects Queenstown and Wanaka, is sitting below zero degrees at present - causing black ice to form. A police media spokesperson confirmed there had been a minor accident about 8am and a truck had driven into a ditch on the Queenstown side of the summit. The driver did not appear to be injured. A Queenstown Lakes District Council's social media post encouraged drivers to "take care or go via SH6 and the Kawarau Gorge"
The council initially posted on social media at 6am saying the roads were "clear and open" with only a dusting of snow.